Being stuck with a damaged roof is risky. You don’t know when it could collapse or when rain could soak through a lifetime’s worth of belongings. Hailstorms are an even more pressing concern. The roof can be damaged by hail and storms which, though rare, are far more challenging for your roof than moderate spells of rain. The most obvious signs of damage to a roof are where the deck is sagging and where there are any signs of water leakage within the property. Dark spots or trails, in particular, act as warnings to greater roof problems that can occur in the future. 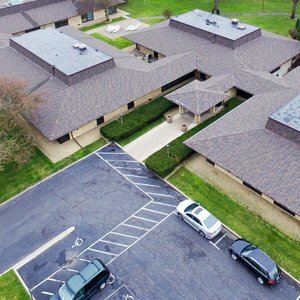 According to the National Roofing Contractors Association (NRCA), it is recommended for you to check the roof at least twice a year (both in spring and fall) in order to spot the smallest of defects before they grow or become worse. If you stop problems whilst they are small issues, a lot of money can be saved as this will prevent more expensive, long-term damage from occurring in the future. To make sure you have the absolute maximum protection against all the odds and to make sure your family stays safe, it is best to reach out to a professional roofing company. Even though some people prefer to take matters into their own hands, the responsible thing to do is to reach out to a professional contractor. They will handle such a stressful situation with ease. 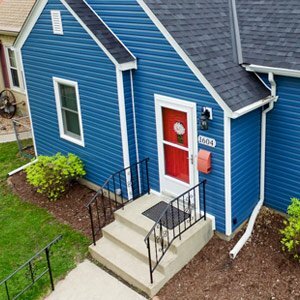 Although taking matters into your own hands seems like a reasonable option with some household maintenance projects, when it comes to maintaining or replacing your roof, this could be a disaster. Not only are you jeopardizing your family’s safety, but you also risk damaging all of the belongings that are stashed away in different corners of your house. But why pay more to hire a professional when you could try to do the work yourself? The best answer is that professionals have the specialist knowledge required when it comes to working on a roof. Any work done by professionals is guaranteed to last longer. Not only do they hold specialized qualifications but they also have years of experience. They are fully aware of the risks that come with fixing roofing problems and are used to dealing with the dangers. They also have an eye for particular types of damage and know exactly how to solve these issues. Sometimes, what may seem like a minor issue to you is actually a deeply rooted problem that needs resolving urgently. Snap construction is a well-established contractor that provides the very best results when it comes to roofing. It provides skilled workers, insurance policies, and reasonable quotations. In order to achieve the very best results, consider if you need to hire roofing companies in St Paul MN. Not only will you save time hiring skilled workers to do the job for you, but you will also be guaranteed that your roof will be structurally sound for many years to come. Keep on reading how to Opt for The Best of Golden Valley MN Roofing Contractors.